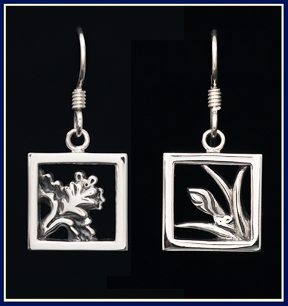 These delightful sterling silver earrings really tell a story when viewed together! 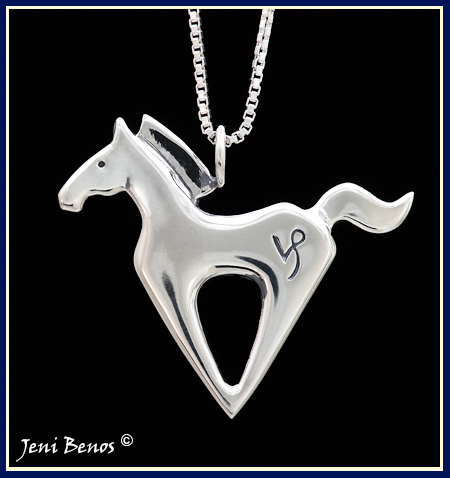 Hand crafted by Jeni Benos with meticulous precision they pair beautifully any of three pendants in the series. Graceful summer Irises bud and bloom while a pair of field mice tentatively gaze at one another in demure charm. Covertly concealed among the blossoming petals and slender leaves they allow their gaze to meet. 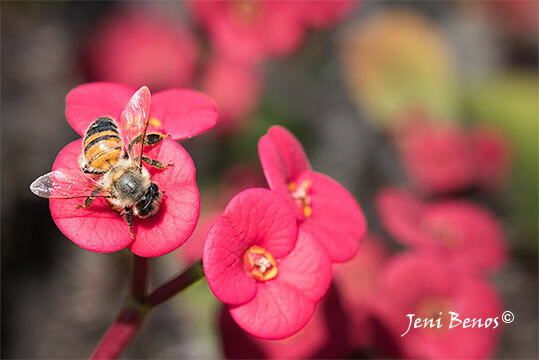 Their tale together will soon unfold along side the flourishing blooms of the garden. Dimensions: Square Frames Measure 9/16"